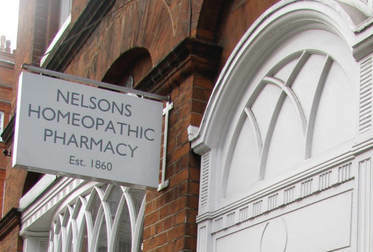 ​The London teaching clinic also takes place at Nelson’s Pharmacy in Mayfair, Central London. Patients can be seen in the teaching clinic, which allows them to be seen for reduced prices, as part of the continuing education of attending students and Homeopaths. In these sessions the patient is seen by the Clinic Supervisor, Andrew Ward R.S.Hom, who takes the consultation in a private room with 4 or 5 students in attendance. The prescription is given to the patient who can then purchase the homeopathic medicine in the pharmacy. The case will then be discussed with the students in the strictest confidence. No discussion of the case is allowed outside of the room. All details are kept strictly private. The clinic operates, currently, on a monthly basis on a Tuesday and runs from 9am until 5.30pm. There is usually a 45 min break for lunch. The dates of the clinics are given below. ​​Clinic hours: ​Tuesdays, monthly. Please see dates below. Clinic hours: ​Mondays, Tuesdays, Thursdays, Fridays - flexible hours including evenings. Skype consultations are available with Andrew Ward Dip. IACH. This service is ideal for those outside the UK who wish to consult with Andrew. He lives and works in the BATH and LONDON area. 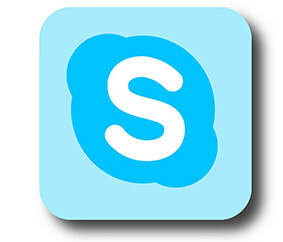 These are conducted via your computer and,in order to access this service you will need to download Skype from the internet (free) and register your Skype name. Calls using Skype are free of charge. Two new appointments or follow-ups per month and acute consultations included. Remedies free. Advice via phone or text anytime. ​No weekend or evening charge. ​Access 24 hours a day, 7 days a week. ​I offer acute prescribing appointments at the clinic, online via Skype or FaceTime or on the phone. Payment can be made by BACS, debit or credit card. Email, call or text to book. ​​The remedy is included in the fees unless it has to be sent from the homeopathic pharmacy in which case you pay them directly. Click here for a comprehensive list of companies who cover homeopathic treatment as part of their insurance plans.